Jet Linx, a private aviation company headquartered in Nebraska, today announced the opening of its new private terminal at Oakland International Airport in Waterford Township. 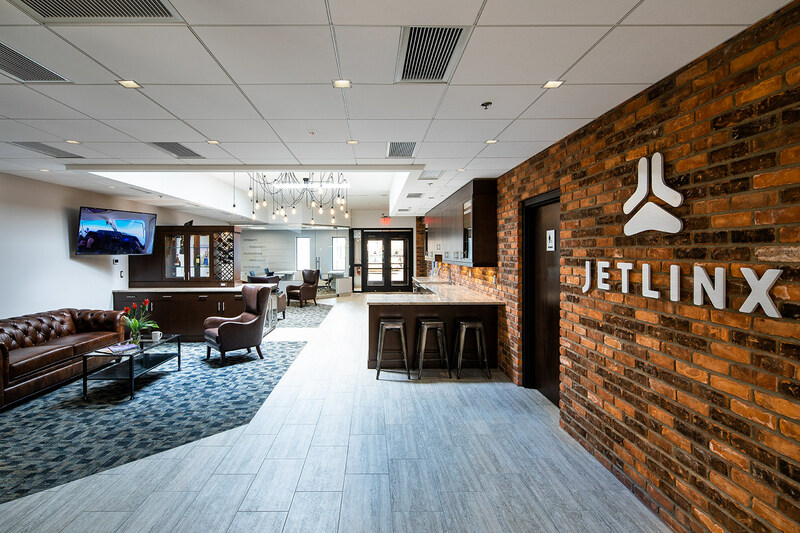 Jet Linx initiated base operations out of Oakland International in 2016, and has 14 locally operated base locations nationwide, including the new metro Detroit location. “Detroit has proven to be an exceptional market, and we look forward to providing new and existing jet card members with our differentiated industry expertise and the very best in customer service,” says Jamie Walker, president and CEO of Jet Linx. The terminal offers members a private meeting room, an executive lounge, Wi-Fi, and other features. “Our members and aircraft owners now have access to a wide array of services and amenities available exclusively in our private terminal, and will benefit from the convenience of boarding and taking off in a matter of mere minutes,” says John Scicluna, Detroit base president of Jet Linx. The company also plans to add bases in New York, Boston, and Chicago.